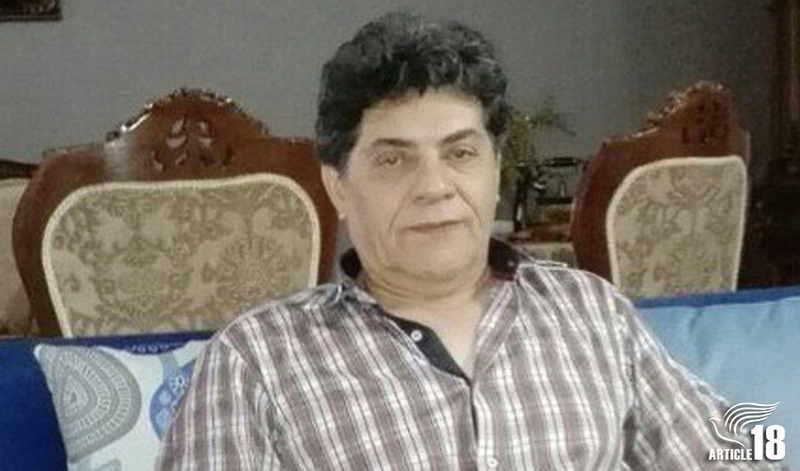 Sixty-four-year-old Iranian Christian convert Ismaeil Maghrebinejad has been released on bail after being charged with “propaganda against the state and insulting the sacred Iranian establishment”. Ismaeil, who was arrested on 25 January at his home in Shiraz, was released on Thursday, 31 January, on a bail of 10 million tomans (around $800). The authorities initially demanded five times more but agreed to the smaller sum after he protested. Sources close to Ismaeil told Article18 that during his detention he was given little food, held in solitary confinement next to a noisy ventilator that made it impossible to sleep, and interrogated for 14 hours a day. They said he was insulted harshly, repeatedly ordered to revert to Islam, and asked why he had evangelised – even though his interrogators found no evidence of their claims during a thorough search of his house and belongings. Family members made several visits to the detention centre belonging to Shiraz’s Intelligence Ministry (MOIS), but each time they were told Ismaeil was not being held there and that if they remained concerned they should go to the police and record him as a missing person. Ismaeil’s arrest was itself a distressing event, as plainclothes officers rang his doorbell at 3am, then slapped him in the face when he answered the door, before dragging him away. They returned five hours later to search his belongings and confiscate many of his personal items, including his laptop, mobile phone, Christian books and daily notebook. Ismaeil converted to Christianity nearly 40 years ago and has since been regularly harassed by Iran’s security forces, despite Iran’s own constitution and the International Covenant on Civil and Political Rights, which Iran ratified in 1975, guaranteeing freedom of religion, including the right to hold a religion of one’s choosing and to propagate that religion. No date has yet been set for when Ismaeil will appear in court to face the charges. Article18’s sources reported that around ten years after Ismaeil’s conversion, an attempt was made on his life, which he only narrowly survived. Ismaeil’s late wife, Mahvash, also converted to Christianity, in 1999, but when she died, in 2013, Ismaeil was prevented from burying her in a Christian cemetery, despite a letter from the head of the Anglican Church in Iran, Bishop Azad Marshall, stating that Mahvash was a “committed member of the Anglican Church in Iran, who had been baptised and confirmed”. Last month, Article18 published its inaugural annual report, noting the “unprecedented” wave of arrests of Christians that took place at the end of 2018 – a pattern that appears to be continuing into 2019. In one week alone, 114 Christians were arrested in raids on “house churches” in ten different cities.